Merland Kadabra has always dreamed of becoming a great wizard. However, at age 19, the young apprentice has yet to successfully cast a single spell. He has been reduced to grounds keeper of Abra Tower, and has become the laughing stock of the wizarding school. But when the Most High Wizard Kazimir chooses him to be one of the five Champions of the Dragon, Merland’s life changes forever. But what few people know, is that the prophecy is not altogether true. For it is not five champions who Kazimir chooses, but five fools. They are not meant to defeat the dragon, but to feed her. 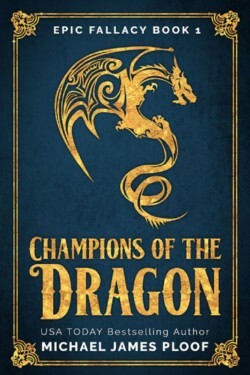 To change their fate, the Champions of the Dragon must not only overcome their enemies, but also themselves.